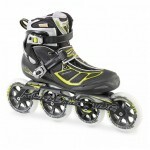 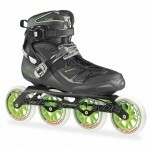 The Rollerblade Tempest 100C allows serious fitness skaters to perform at their best. 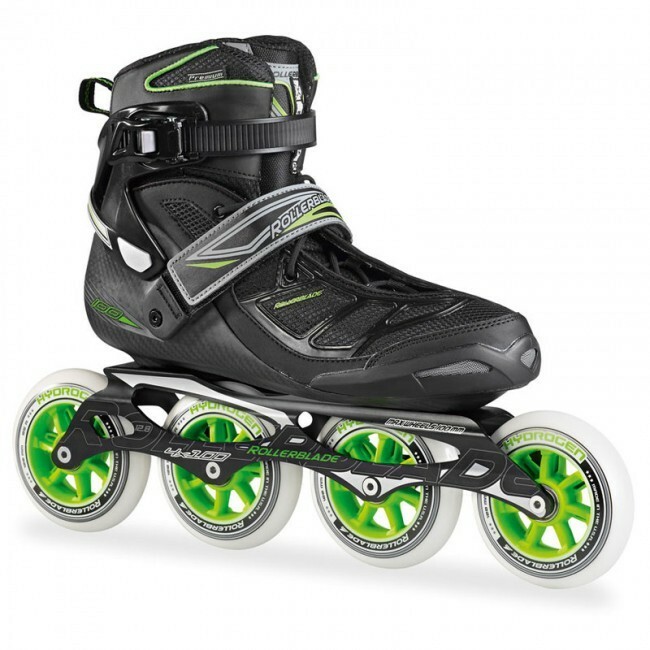 The shorter, but not too short, cuff allows some ankle mobility to help extend the stride and allow tighter turns all while still offering plenty of support and control. 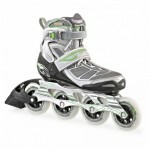 The 4x100 wheel setup on the 12.8" frame creates a very fast, smooth, and stable ride, while still letting you make sharp turns. A very light and comfortable boot wraps your foot with anatomically correct, asymmetrical lacing and a Velcro strap that keep your heel down as you zoom past bicyclists on the trail.